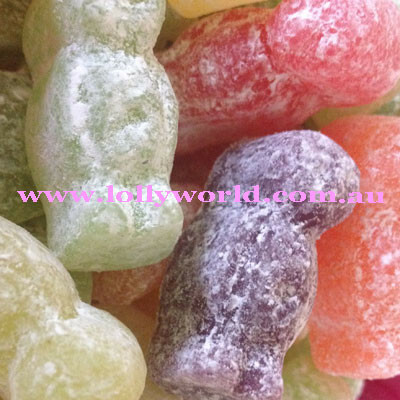 Dusted Jelly Babies are an English sweet. These ones are made by Continental Candy in Holland. Larger than a standard Jelly Baby and a little sweeter they have a light sugar dusting coating them. This would be in my top 10 all time favourite lollies, in fact I think top 5 I love these.